The Pennsylvania State University, College of Agricultural Sciences. Communities are encouraged to design parks and greenspaces utilizing techniques and resources that encourage wildlife, save energy, support native plants and avoid invasive species. Information on designing community parks is available through DCNR. It is an organization that engages young people as active citizens to improve the environment and their communities. It provides materials and resources for developing projects for service learning through community action and provides networking opportunities with teams throughout the country, Earth Force provides a framework and program for moving students to action. 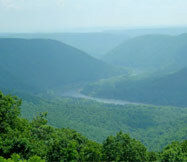 Pennsylvania Earth Force projects are located in Erie, Pittsburgh and Philadelphia. This is a series of booklets about land use and transportation. This material is designed to help citizens take a fresh look at the problems of building and maintaining nice places to live against the forces of sprawl. The issue guide provides an overview of the issue and, to promote public deliberation and citizen action, outlines several perspectives or choices. Free moderator’s guide available, additional resources can be ordered. Activities are adapted with permission from Biodiversiy Basics published by World Wildlife Fund (WWF) as part of Windows on the Wild (WOW). Published by the Pennsylvania Biological Survey. This education program is administered by the Center for Civic Education in cooperation with the National Conference of State Legislatures. It is funded by the US Department of Education. The purpose of the program is to help students engage in community projects as a responsibility of citizenship.